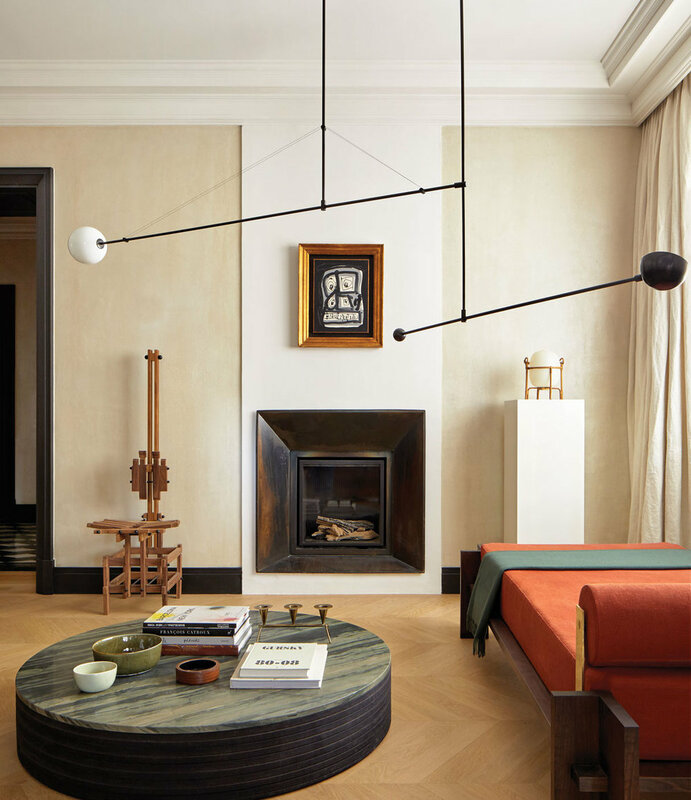 The tried and trusted trio of oak, marble and plaster, alongside a largely neutral colour palette, with only small lashings of colour, make the texturally harmonious, organic base of this home. 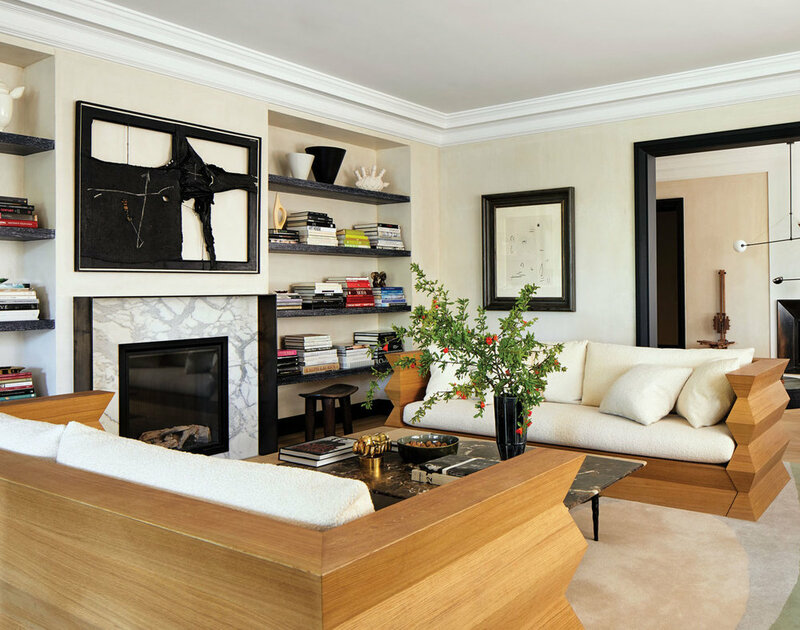 Having forgone doors in the renovation, to open up the main rooms of this 3,800 square foot apartment, each of those rooms now moves seamlessly from one to another; the ‘look through’ as important as ever. 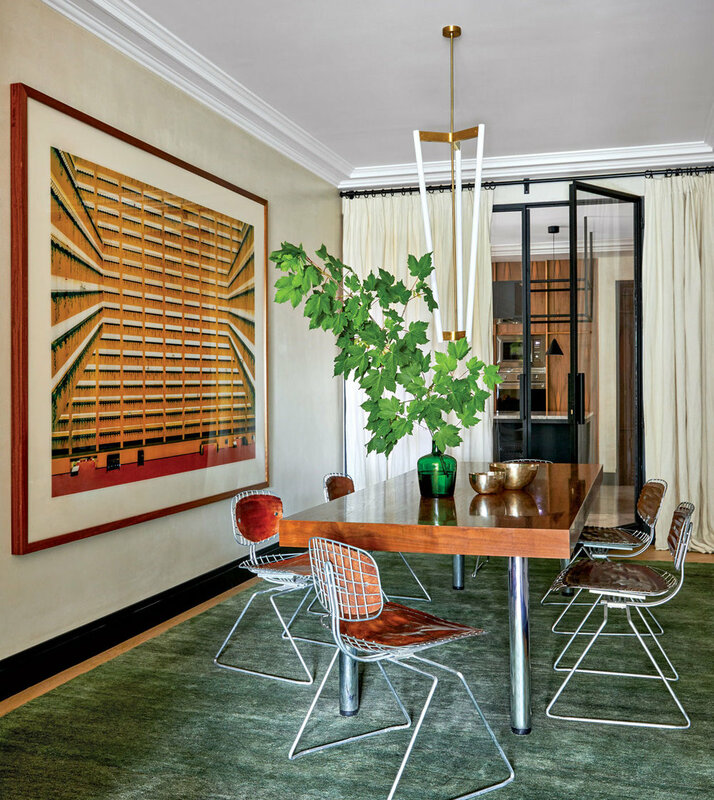 Perhaps the real hero here is the playful, yet restrained, mix of contemporary art and furniture (works from the likes of Joan Miró, Louise Bourgeois, George Nakashima and Michael Anastassiade) and they way in which they sit, with ease, alongside the crux of this meticulously renovated 1960s Spanish apartment.